I recently bought this little thing for work on a project i was planning. To be honest, given its size and price, i was not sure what to expect. Thankfully, i can say that this little module is worth its price. It is a very bright, and fairly acurate little device, and incredibly simple- provide the power source, and you are good to go. Definatly consider this little one if you have any need for a VERY cheap laser! Photos of output from this and the green laser module. I connected it to 2x NiMH AAs (red to +, white to ground) and got a normal laser-pointer brightness; I measured 3.2v and 16.5mA. I just received this part and noticed that it produced a nice bright "spot" at only 15 mA. Much less than the data sheet's nominal current of 35 mA. I made some measurements of the V-I curve that other's might find helpful. The measurements can be found at "http://www.nbnis.net/info/wentaiLaserCardVIchart.pdf". If anyone sees a flaw in this approach please point it out. Not bad, for the price. But the datasheet does'nt contain any useful information, apart from the current consumption, 35-40 mA, quite far from the 15 mA I measured at 3.1V. Also, like any LED, this device should be powered by constant current, not constant voltage, so there must be a resistor inside, but its value is unknown. So a constant current source would be great for this and all you need for constent current source is 2 pnp transitors. Hook up one pnp's base to its colector and to the other pnp's base. Hook up both emiters to a voltage supply. The colector which has the base connected to controls the current and the other colector is were the constent current comes out! Could you use this as a range finder? I know that you'd need a receiver, but would this work as a transmitter? WARNING. The wires are not robustly soldered into the interior of the case. After a couple of weeks, my white wire has already come off. I'll need to open it up and solder it back on. Before using I recommend you wrap a little electrical tape where the wires leave the container so the wires don't move. Other than that, the device gives a strong, steady beam. Also, I think you need to resister down your voltage if you're coming 5 volt from an Arduino or you may shorten its life. Hopefully someone else here can give a more specific recommendation. Also, I think you need to resister down your voltage if you're coming 5 volt from an Arduino or you may shorten its life. Hopefully someone else here can give a more specific recommendation. The product listing indicates the correct voltage of 3v, and the data sheet indicates a 40mA max current. So, yes, anything higher and you'll risk damage. What ohm resistor would I need to step down 9v to 3v? Or do I need some sort of current limiter to prevent spikes - I'm new to arduino and this is for a project. I would not use a resistor to do that job, especially not at 9v. I would use a voltage regulator like this one. Also the Arduino pins can only sink 20mA. So use a MOSFET or something. How far does this thing shoot (how dim does it get per meter), and does a variable input voltage translate into a variable intensity beam? I'm interested in sending audio waves (analog voltages) via laser. This module is absolutely tiny, but it's great. I wasn't expecting much at all, but it'll give you a very nice, very bright red dot. It's small enough that you can attach it to anything with ease. I use it to see what my robot's range finder is looking at. I've also used it as a laser sight for an rubber band shooter. Very useful laser module, good range and low beam divergence. Has built in lens so only a power supply is needed, great for op. comm. projects! Very neat little device. Simple power requirements and great performance. Thanks! Is this appropriate to use with a photo cell/LDR to make a tripwire? yes, you could use it for that. This is a great little laser. Any chance of adding it to the SparkFun Eagle Libraries? I bought a few of these recently, they arrived with 4 wires. FYI: You must bridge white and green in order to turn the Laser On. Hi,.. I just tested this little Laser and it works great at 2.5V @ 15mA. Can I keep it powered ON for a long period of time (like 10 hours) without affecting performances ? Could that affect the 3000 hours duration indicated in the specs ? I want to setup a cheap and focused portable TripWire system with a phototransistor facing the laser. It works as expected for the moment. I'm just anxious about long term operation and I don't have time to test it for so long before looking for a more robust laser. Thx for any comment that could help me take the best decision. Is this a class 1 laser? I'm wanting to know the same thing. The documentation doesn't say. Just got this little guy, hooked it up to the 3.3v on the arduino (black to ground) and nothing is happening. What am I doing wrong? It rated for 3V not 3.3V, they should make that a bit more prominent I think. Easy mistake to make. 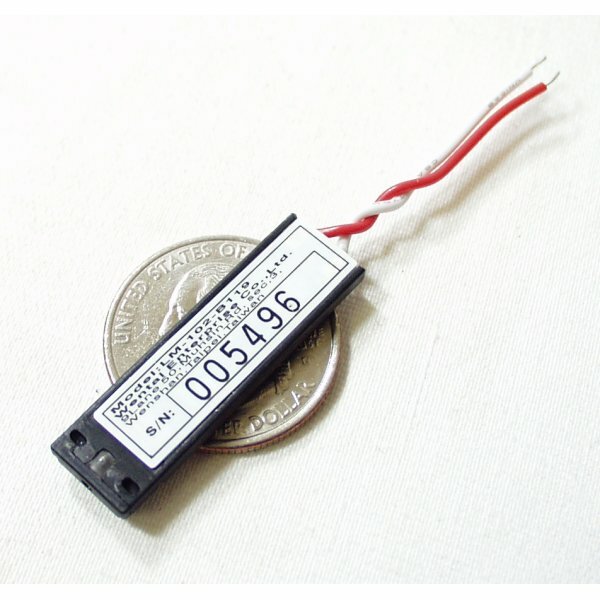 I want to suggest a product of carrying a low power IR laser module. Then it could be pointed at a IR receiver to send data without interference from general light. I want to build laser tag! Can this be modulated by switching the supply voltage, or otherwise? At what rate? Maybe I'm wrong, and someone can correct me, but this does not have an infrared filter on it, correct? Unless the "plastic lens" is a filter? Anyone with a spectrometer just laying around care to confirm? :) For all the people burning these out, connecting to a current regulator (or current limiter) will prevent it from burning out, regardless of input (assuming you don't burn out the regulator, that is), if you plan on hooking this up to a noisy voltage source. What is your input voltage? Did you get this resolved? Does anyone knows what can I use as a receiver for this laser? I want to detect when the laser is On/Off. What things can I use for that? Thanks! Oh, cool. .. I am working on a low power laser tag system. 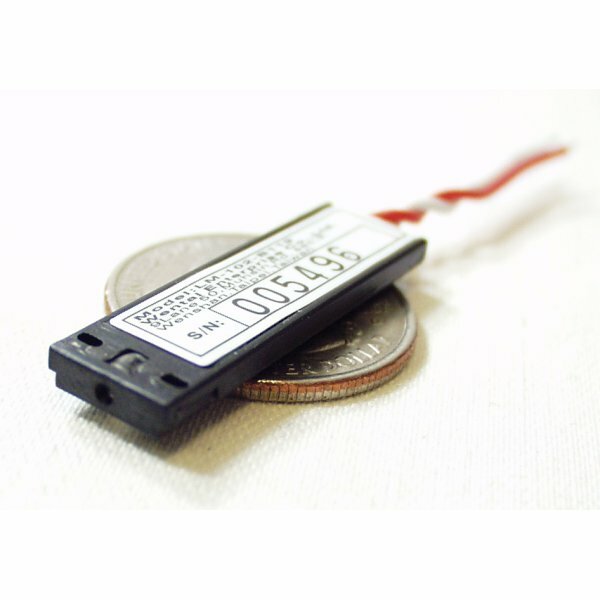 This module looks especially appealing because it is low power and still puts out a nice bright dot... I am guessing that this laser would be qualified as a class 1 or 1M? Any safety concerns? About how far does the beam go before it gets to weak? It said in the data sheet that the beam divergence was 10- 15 millimeters for a distance of 10 meters. Would it be much worse than that at distances of 30-40 meters? The divergence will be linear, so if it is 10-15cm at 10m then it will be 30-45 at 30m. However, I would test your laser, the datasheet doesn't seem very accurate on the other values.